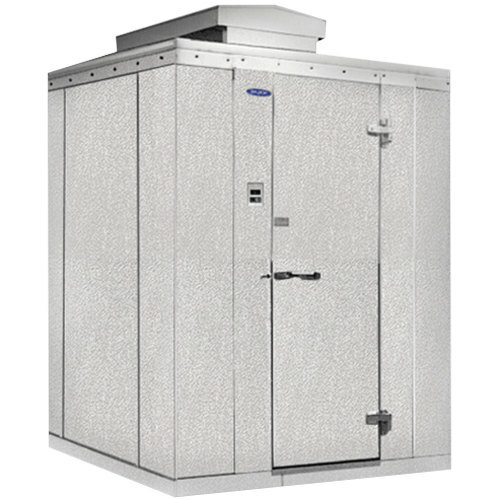 The Nor-Lake Kold Locker 6' x 12' x 6' 7" outdoor walk-in freezer offers versatility and superior storage space all in one rugged, easy-to-assemble unit! An innovative, self-contained, top-mounted Capsule Pak cooling unit provides 100% usable interior storage space by utilizing a flush coil design, which keeps all cooling components outside the walk-in freezer. Ambient controls and a refrigeration hood ensure the Capsule Pak functions properly at temperatures down to - 20 degrees Fahrenheit. The 1 1/2 hp, 208/230V cooling unit has a temperature range of - 10 to - 8 degrees Fahrenheit. The self-contained Capsule Pak installs easily and uses R-404A refrigerant. A weather protection kit is included to protect the Kold Locker from the elements. 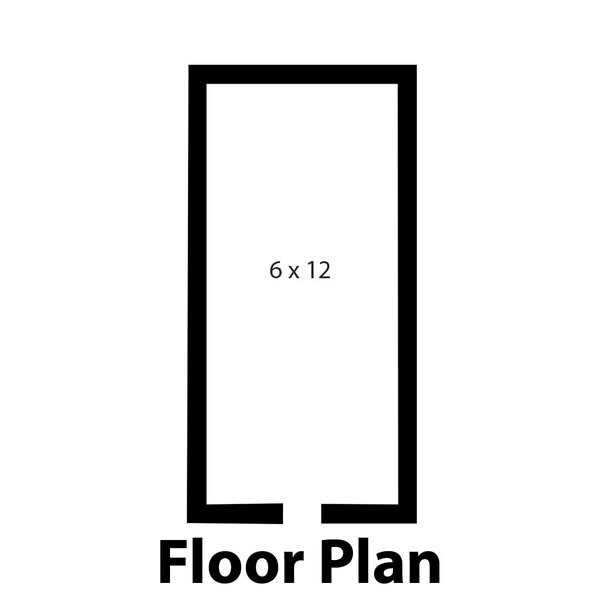 It includes 35 mm-thick roof materials, flashing strips, and roof trim. A self-closing door secures easily to the Nor-Lake Kold Locker walk-in with cam lift hinges and has a 26" opening. A NL9800 deadbolt locking handle with independent padlock and an inside safety release protects your supplies and your employees. A convenient digital thermometer ensures safe temperatures are maintained, and a vapor-proof light provides excellent interior visibility.